The double sheet bend, also known as the double becket bend is a more secure variation of the sheet bend. It is mainly used to join effectively two ropes that have a marked difference in their diameters or rigidity. The addition of an extra turn round the bight prevents slipping in the case of extra-smooth ropes. 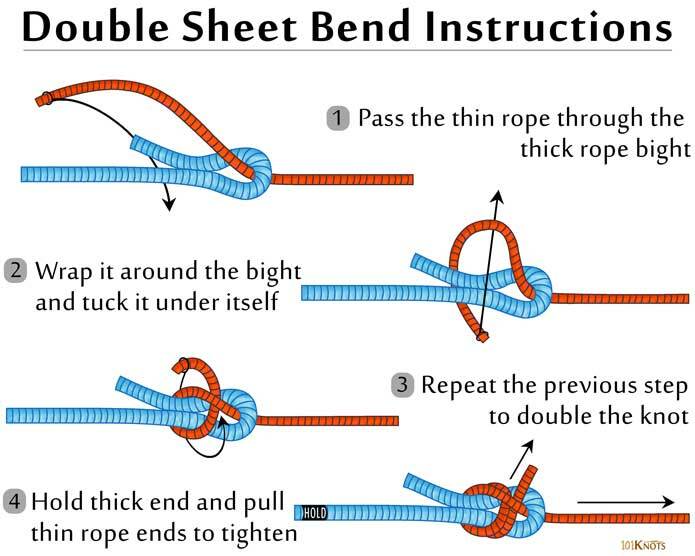 For maximum strength, the free ends should land up on the same side of the double sheet bend knot.